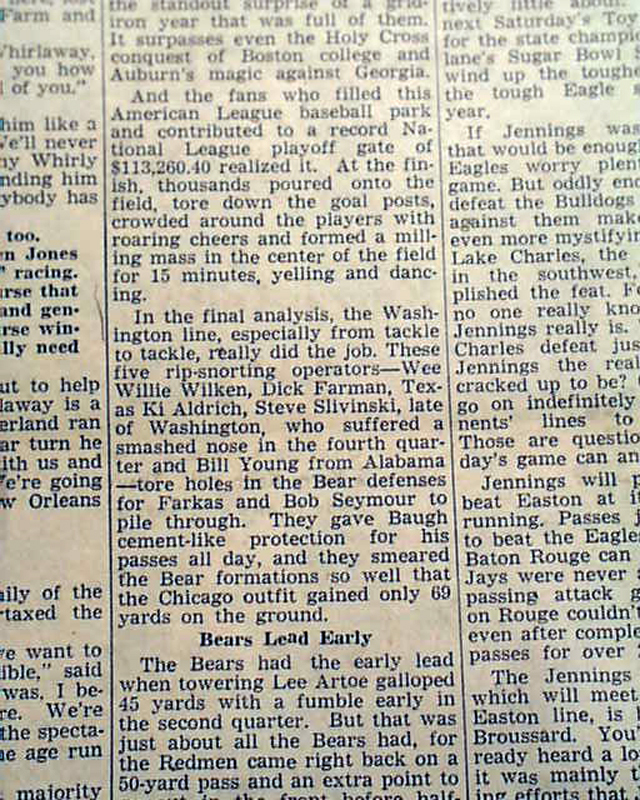 This 32 page newspaper has a six column headline on page 18: "Washington Beats Chicago Bears in Amazing Upset" with subheads that include: "REDSKINS GET REVENGE FOR 73-0 TRIMMING." Additional details are provided, which include the lineup. 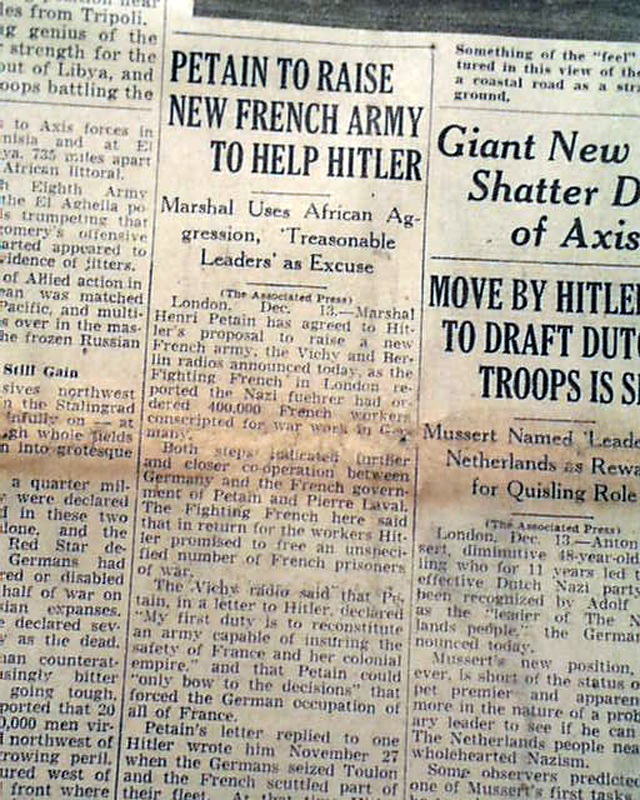 Other news of the day along with period advertising is found throughout. 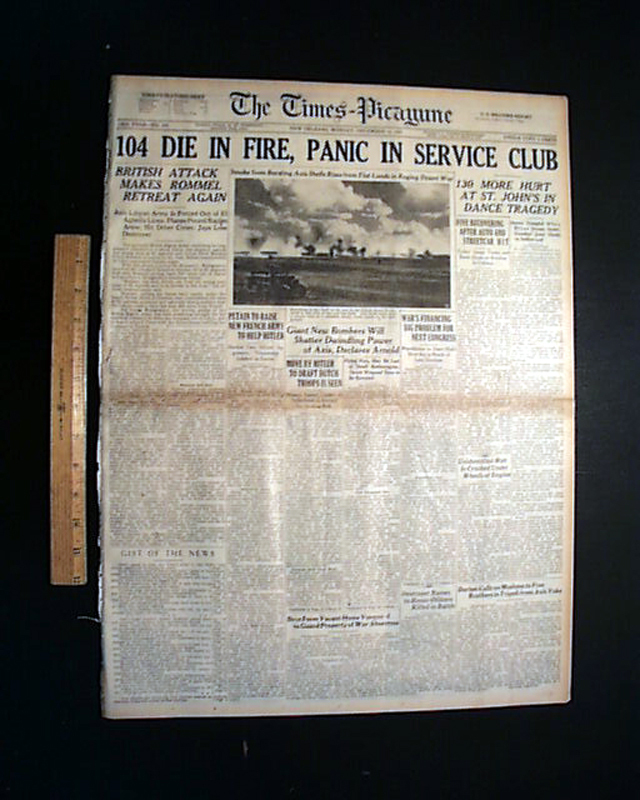 Complete in 32 pages, light browning with a little spine wear, otherwise in good condition. wikipedia notes: The 1942 National Football League Championship game was the NFL's tenth title game. 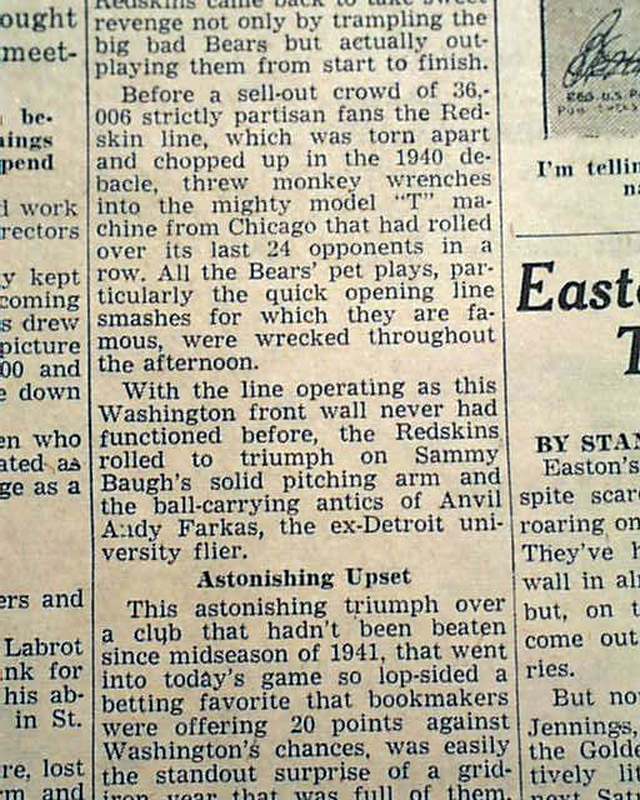 The game was played on December 13, 1942 at Griffith Stadium in Washington, D.C. and the attendance was 36,006. 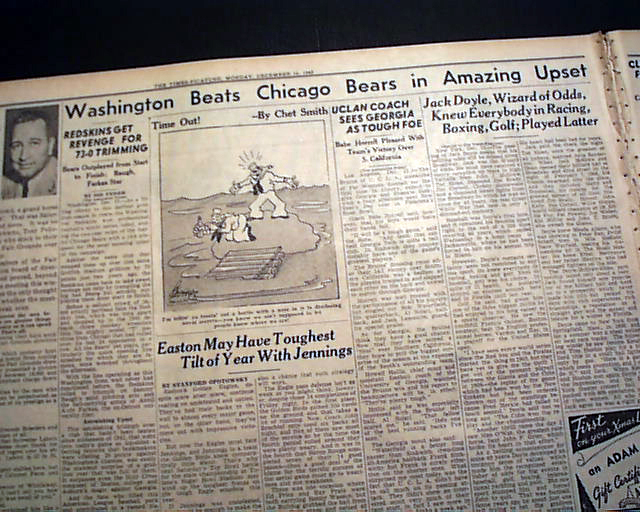 The game was between the undefeated Western Division champions Chicago Bears (11-0) who were co-coached by Hunk Anderson and Luke Johnsos after George Halas had enter the U.S. Navy. 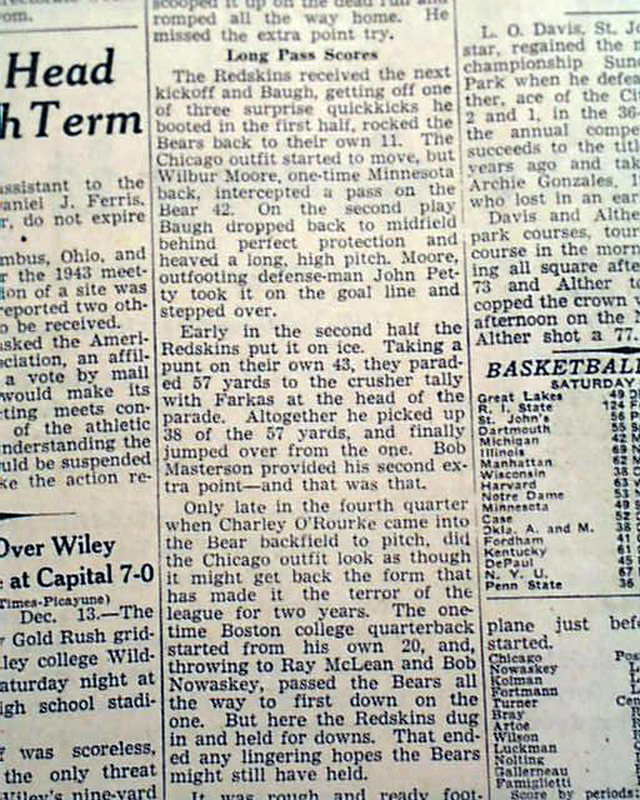 The Bears were led by their quarterback Sid Luckman. 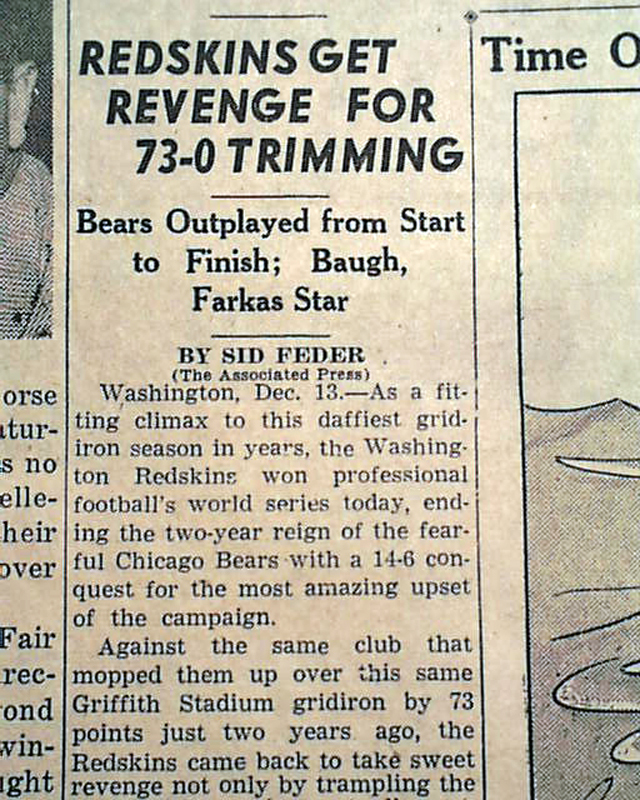 The Eastern Division champions were the (10-1) Washington Redskins who were led by coach Ray Flaherty and quarterback Sammy Baugh.